More than 80 local government authorities across NSW faced a difficult technical challenge in 2016 following the NSW state government mandate to force council amalgamations. The challenge was threefold in the case of the amalgamation of the former Manly, Warringah and Pittwater Councils into the new Northern Beaches Council. With a local government area stretching from the Barrenjoey lighthouse at Palm Beach to the wharf for the iconic Manly ferry, Northern Beaches Council comprises an area of 254 square kilometres and as at the 2016 Census had an estimated population of 252,878, making it the third most populous local government area in the Sydney region. 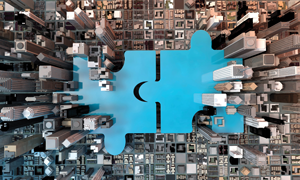 Amalgamation of the three councils required a consolidation of existing Council business systems including TechnologyOne, TRIM, Authority, Merit, Salesforce, Icon, and InfoMaster. Data was migrated into a shared system to be used by all staff requiring access to the system. Northern Beaches Council has 1,500 Content Manager licences and a current total of 1,395 active users. Solution provider Kapish, a Citadel Group company, ran the migration of over 9 million documents into Content Manager and also provides a range of its add-ons for users: Kapish Proclaim Integrator (the TechnologyOne integration); Kapish Word Add-in and Kapish goTRIM (Content Manager app for iphone & ipad). Planning commenced in August 2016 and the project was delivered in July 2017. Chris Wilson, Manager Information Management for the merged Northern Beaches Council, said, “From a change management point of view, the decision was made to adopt the systems used by the most people. Before amalgamation the Business Classification Scheme (BCS) in each EDRMS was aligned to GA39, all records were then aligned to the BCS. Record types were mapped between the three former Councils. The number of record types were kept to a minimum with new ones created to accommodate the way some records were stored in a legacy system. Some records types had to have additional fields added for the extra metadata stored/attached to the legacy records. The purpose of Actions/Workflows in each system were analysed and a new set developed to accommodate those workflows which TechnologyOne would not be managing. “We had different networks so logins in TRIM had to be managed. You can have 2 logins per username, so some people had to have 2 usernames because they needed to log on from 3 different networks,” said Wilson. “The major changes for staff included a new EDRMS for some and a new configuration for others. There were also new processes to deal with and staff gained access to Kapish goTRIM for the first time, allowing access to Content Manager content via their iPhones. There were three trial migrations undertake in the months leading up to the go-live. The final migration took place over a weekend and took 2 days. “We had allowed 3 days and were able to go-live 1 day earlier than scheduled,” said Wilson. There were many other people involved in testing, training, communications and support at go-live. All users were offered training in TRIM and in associated information management procedures and processes: 68 sessions were run across 8 locations with 565 people attending. According to a Citadel spokesperson, “We were told fairly early on in the project that there couldn’t be any business hours outages and that all users from the three former councils had to go live at the same time so we couldn’t split the upgrade over multiple weekends. Because of these constraints and huge volumes of data to be migrated we had to develop a completely new way to do the migrations. “In the end after much testing and refining we could get the systems fully migrated in about 8 hours. Tackling the project this way meant that there was more time spent in developing the scripts and processes up front but we were able to test the migration process end to end many times before committing to the final go live which lead to increased confidence in the project. “The process and tools that were developed for joining the TRIM datasets together are generic enough so that now we can take any two TRIM datasets and amalgamate them in a matter of hours and then work through the reconfiguration of the amalgamated datasets on the screen live with the client rather than trying to work through multiple spreadsheets and screens to try and map the data which has revolutionised the way we can tackle amalgamation and MOG projects. “The go live was actually split into 2 sections. The go live of some of the other systems couldn’t happen on the same date as the EDRMS amalgamation and a decision was made not to defer this until the end of the year which added some additional challenges. “The amalgamated TRIM system went live on 1 July 2017 but we actually developed and ran integrations with the 3 different land information systems until December 2017 where a second process was run to join the data together and link them to the new amalgamated TechOne Property & Rating system as it went live. The actual P&R amalgamation took place over business hours so documents registered during this period were re-linked to the related items once the P&R system was re-established. “At this time we also rolled out an updated integration with TRIM and TechOne P&R to make linking documents during the registration process easier which has been extremely popular. “The overall amalgamation project had a huge amount of moving parts which covered many different systems outside of the EDMS and it was great to work so closely with such a dedicated group of people from the newly formed Northern Beaches Council and external contractors and vendors and learn about these different systems to help run the business of Council,” said the Citadel spokesperson. In addition to managing the challenges of amalgamation, Northern Beaches Council has been pursuing its own digital transformation. Its daily operations are now fully digital, where any document that is born digital, remains digital and any documents received in paper format are scanned and stored electronically. Workflow varies according to who /which business unit receives it and the primary tool used for scanning is EzeScan. Many documents arrive via online forms which are automatically registered in CM, meanwhile paper documents are scanned and OCRd. OCR is a requirement on all scanning projects. Anything converted to PDF for uploading for public access are OCRd as part of the conversion process. Using EzeScan for handling all incoming correspondence gives Information Management a structured process to ensure incoming records and catalogued and actioned correctly. Council staff use on-premise Outlook or Office365 for email and have the option to semi-automate filing emails into the EDRMS. Northern Beaches Council has been underway with a back-scanning project for all DA and property related documents, as these are by far the most requested by the public and businesses. The scanning is handled by Jigsaw, as a social enterprise of Fighting Chance, and a registered NDIS Service Provider located in Frenchs Forest. Jigsaw Outsourcing provides employment to people with disability, paid at Award wage. Their business harnesses the skills of a diverse and unique workforce to deliver digitisation services to corporate and government clients.